Richard Pierce Havens was born on January 21, 1941 in Brooklyn, New York, the eldest of nine children. He began singing doo-wop on the street corners of Bed- Sty. 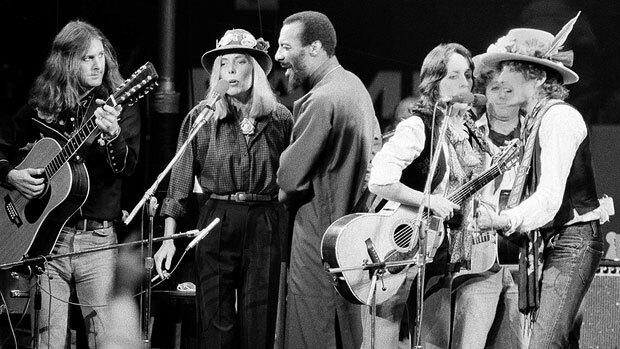 Havens left home & made his way to Greenwich Village in the early sixties, where the Folk scene was in full bloom. At first he painted portraits of people on the streets & then began to play guitar in the Village clubs. He crossed paths with local resident Bob Dylan who remembered "One singer I crossed paths with a lot, Richie Havens, always had a nice-looking girl with him who passed the hat and I noticed that he always did well". After two albums on a small label, Bob Dylan's manager Albert Groosman signed on with Havens. His rhythmic acoustic guitar playing & gravelly voice gave him a unique sound. 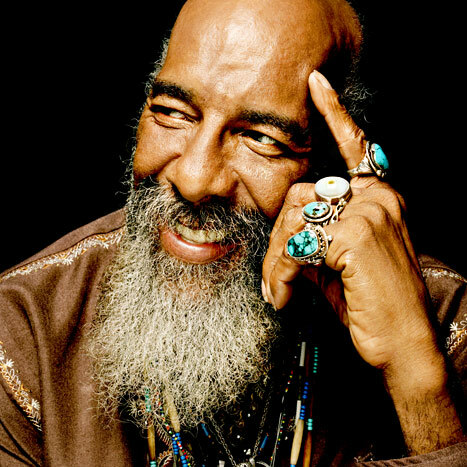 Havens also had dentures & at times sung with no teeth which added to his distinct vocal sound. In 1966 he released his classic album "Mixed Bag", which was the adopted name, legendary Bronx born DJ; Pete Fornatale used for his radio show. Havens did great work covering Dylan (Just Like A Woman, It's All Over Now Baby Blue)& Beatles (Strawberry Fields Forever, Eleanor Rigby, Here Comes the Sun) songs. 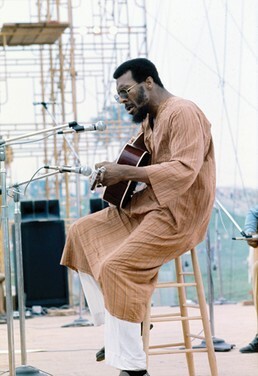 By 1969 he was a well known folk artist & was asked to play the first day of the Woodstock festival in upstate New York. The first day was to feature mostly folk artists on the bill. 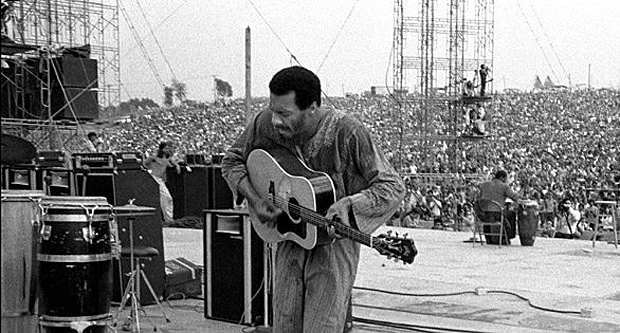 Richie Havens wasn't suppose to open up Woodstock, but no one of the other bands were at the venue yet & it was already three hours later than the original start time. Havens leaving the Woodstock stage finishing "Freedom"
He took the stage with two of his musicians, because his bass player was stuck in traffic & didn't arrive until the end of the set. Havens did a remarkable three hour set that will forever be remembered. Due to the traffic problems & other situations at the site, none of the bands had arrived yet. Organizer Michael Lang kept pushing him back on stage to buy more time. 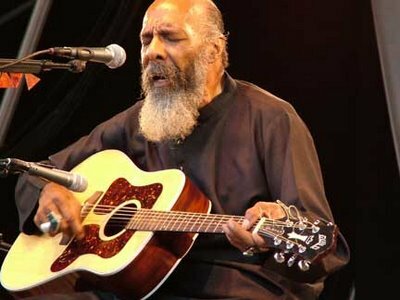 Havens had run out of material to play & adlibbed the song he would become most famous for. Freedom was made up on the spot, the words Freedom, is what best described the scene of what Woodstock was becoming on that first day. He added in the words "sometimes I feel like a motherless child" from the gospel songs he knew from his youth. Quotes: In 1989 Havens told Rolling Stone Magazine: "I was supposed to be fifth on the bill, but the other entertainers were still at the hotel, seven miles away. I thought, "Jeez, they're gonna throw beer cans at me because the concert's late." So I did a little fast talking, a little rap, and then I did a nearly three-hour set, until some of the others finally showed up. "When we left the festival, there wasn't another car on the thruway except ours. For seventy-five miles cars were parked five deep. That was the most surrealistic thing I've ever seen in my life." 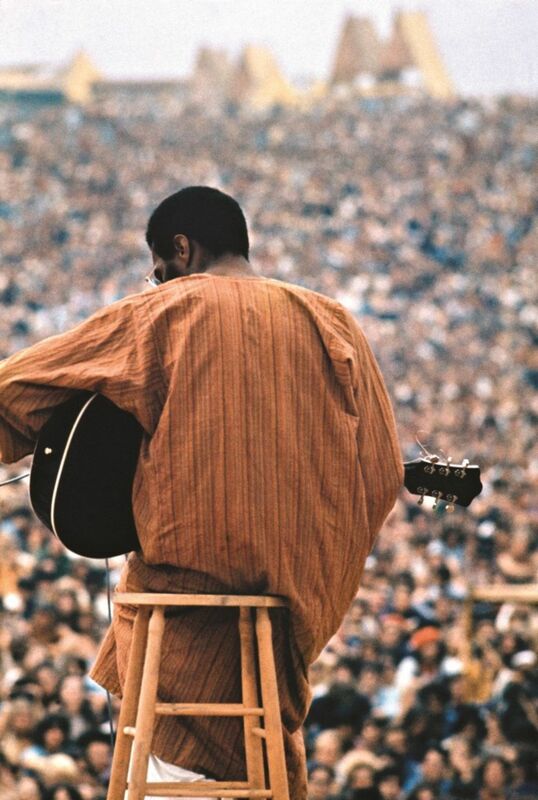 When the Woodstock album & movie came out, it brought Havens to a worldwide audience. He would perform at many of the Woodstock reunion concerts through the years, as well as many other festivals, including the 1969 Isle of Wight Festival. He made memorable television appearances on Ed Sullivan & Johnny Carson. He wooed them so much on Carson, the audience continued to cheer into the commercial break & Johnny asked him to come back the next night. He also did TV slogans for ABC, NBC & CBS, as well as Amtrak, Maxwell House & the Cotton Industry. 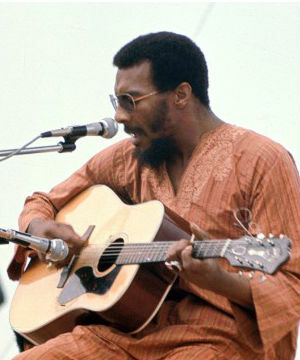 In 1970 he released his album Alarm Clock (featuring Here Comes the Sun which carted #16 on Billboard) it was his biggest selling album, cracking the Billboard Top 30. Havens also went into acting, featured in the first stage production of the Who's Tommy in 1974. He also appeared in Othello, Greased Lightning (with Richard Pryor) & Dylan's Hearts of Fire. He was dedicated to educating young people on ecological issues & helped co found the Northwind Undersea Institute on City Island in the Bronx. He continued to tour to wider audiences from the eighties to 2010 when his health declined.